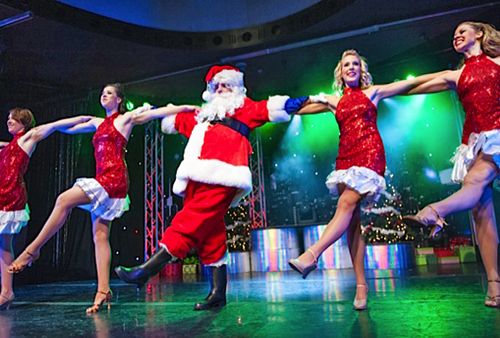 One of Branson’s leading holiday shows, Christmas Wonderland offers an extravagant holiday production fit for the whole family. 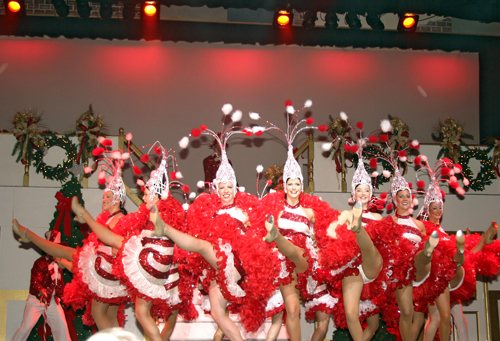 Guests can enjoy candy-striped costumes, upbeat choreography, beautiful scenery, gorgeous production numbers and some of the highest-kicking chorus girls in Branson. 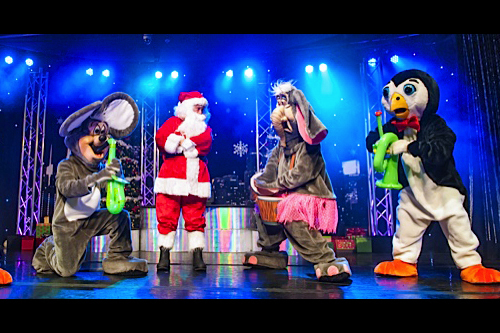 The festive show also features favorite holiday classics and an appearance by Santa himself. 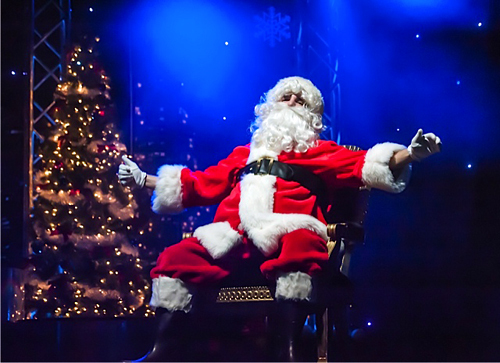 Christmas Wonderland is a lavish production, filled with all the warmth of the season. 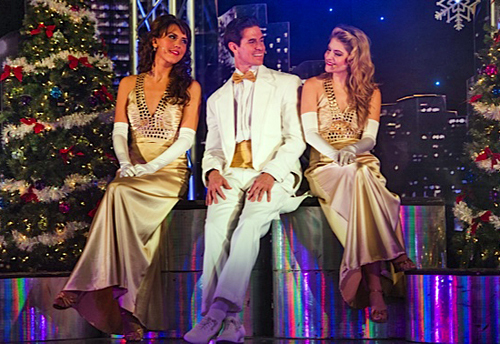 Candy-striped costumes, lively choreography, and heart-stirring voices create magic as the cast whisks you away from the cares of the day. Absolutely. 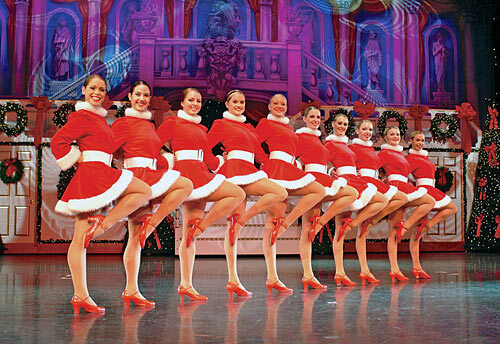 This show is appropriate for all who celebrate the holidays. Can I take pictures or video of the show? Flash photography and videography is prohibited during the show. Can I bring outside food and beverages into the theater? Yes. Please note your request for wheelchair accessible seating when making your reservation.